REDUCED LENGTH - The length of the Silhouette™ (back of the reflector to the end of the feed) has been significantly reduced to improve clearance in the antenna down/stowed position. The Silhouette™ length is now less than its generic counterpart. REDUCED WEIGHT - The weight of the Silhouette™ antenna has been reduced and is now more than 10% lighter than its generic counterpart. 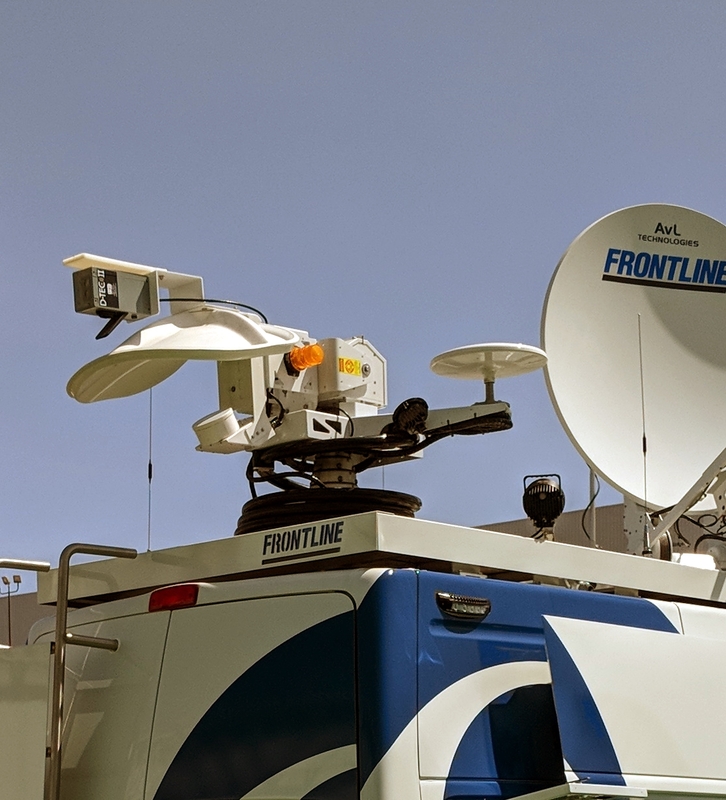 Polarization Control via Switched Ground - Our new 2 GHz quad polarized models feature polarization control via switched grounds to be fully compatible with the transmitters from all of the major U.S. manufacturers. The improvements to the Silhouette™ have been made without compromising performance. The Silhouette™ antenna length was reduced while maintaining the proper location of the feed at the focal point of the parabolic reflector, resulting in a crisp main lobe, low sidelobes and full gain performance. The Silhouette's™ superior beam control and gain maximize the range and ensure the quality of the microwave link. Silhouette™ antennas are available from NSI as well as from leading ENG truck manufacturers. System control unit software and configuration changes are now possible via USB memory stick. SCU-420 Series system control units are available for new installations as well as replacements for existing SCU-320 units. Contact NSI for details.